Set in 2192, Earth 2 took place in a world where most humans live in space stations, as the Earth itself can’t support life. Children are growing sick from an unknown and unacknowledged disease that seems to be caused by not living on Earth. So Devon Adair, over the objections of the Council, leads a group of colonists to another world. But the planet isn’t uninhabited, nor is the Council done with them. 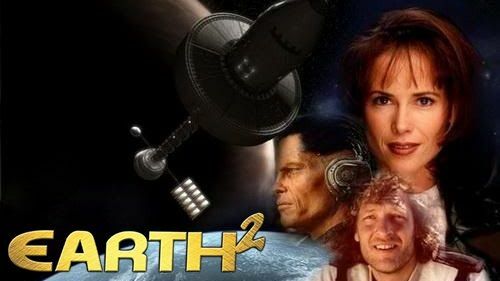 Notable for having a female lead, Earth 2 explored many political and ethical themes against the backdrop of colonization. Unfortunately, it also quickly lost the interest of viewers and was cancelled after only one season. The titular Brisco County, Jr (played by the always amazing Bruce Campbell) is a Harvard lawyer turned bounty hunter, seeking revenge and trying to discover the secrets of the mysterious Orb. Along the way he encounters and joins forces with other bounty hunters, lawyers and inventors. Set in an 1893 steampunk old west, Brisco County, Jr enjoyed fast-paced humor and genre-mashing action. This one too, lasted only one season, but was well loved by those who watched it. This show was similar to the better-known Quantum Leap. In the first episode the lead, Quinn, discovers a way to move between dimensions. After the first jump they lose the ability to return to Earth Prime and so must travel from dimension to dimension, trying to go home. In the beginning the show focused more on alternate history, however in the later seasons it switched networks, lost most of the main cast, and became more action oriented. Fox aired episodes out of order (as happened later with Firefly), leading to continuity issues. The Sci Fi Channel produced the last two seasons, and the show itself ends on a cliffhanger. In 2018, the United Earth Oceans Organization launches Seaquest DSV, a sophisticated new submarine. Captain Nathan Bridger (Roy Scheider) reluctantly takes command. The show followed the adventures of captain and crew as they protect underwater colonies, explore the ocean, and face unexpected threats. Seaquest started off as mostly science based, with noted oceanographer Robert Ballard providing information at the end of every show. Then the network decided to bring in a younger crew for the second season, introduced aliens, and angered much of the original cast. The third season tried a name change and a ten year time skip, but it wasn’t enough to prevent cancellation mid-season. The best remembered show of any on this list is likely Babylon 5. Ambitiously and meticulously planned across 5 seasons, the show followed the interactions between humans and other species on the titular station as they negotiate a complicated world. With cutting-edge special effects, the show was almost ahead of it’s time. The world of Babylon 5 is anything but black and white. The show didn’t shy away from topics like religion, war, peace, or hard ethical dilemmas. J. Michael Straczynski guided the show closely and wrote nearly all the episodes. What other forgotten sci-fi shows from the 90s did we miss? Do you remember these shows? Leave a comment below! what about “Space Above and Beyond” ?? that was better than Earth 2, had a great plot, and ended way to soon..
another was “Space Rangers”.. didnt last long, and was pretty good at the time it came out. I liked the show enough to copy all of them at the time they were shown. Then later I bought all the series tapes plus the movies. Space: Above and Beyond is one you missed. I am in my 40s, watch a ton of TV, and I never remember even hearing of Babylon 5 when it aired! I discovered it around 2009, through years of people online raving about it. I just finished another rewatch of the entire series. It’s remarkable! 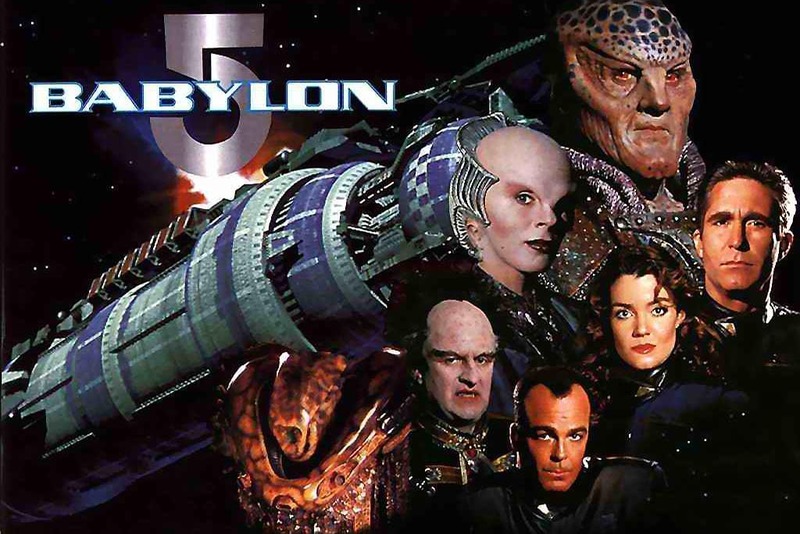 I don’t know wrote this article but Babylon 5 is hardy forgotten by the fans. It’s not forgotten by the fans. None of these shows are. But for people born in the 90s or later, many of them have never heard of any of these. For instance, Babylon 5 isn’t available to stream anywhere, nor does it air.